Do you feel anxious about your manuscript after you have submitted it to a journal? Are you sometimes confused by the status descriptions on the online submission system? 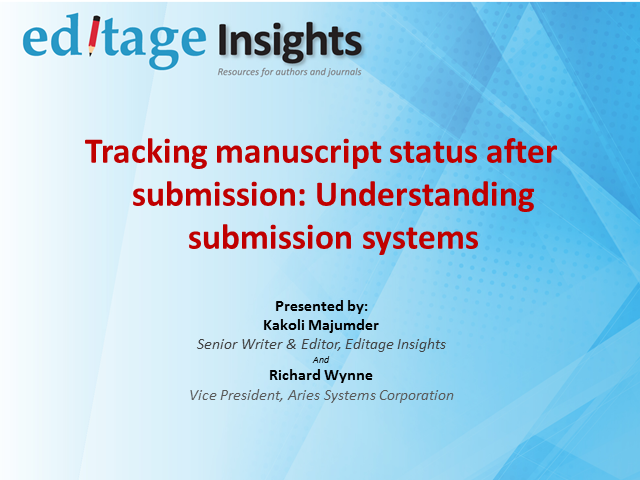 Would you like to understand from an expert how submission systems, such as Editorial Manager, work? Join this webinar to learn how to simplify tracking your submission!